CSUN’s economic and social impact on the state of California includes nearly $2 billion and more than 11,700 jobs, according to a new study. Photo by Lee Choo. California State University, Northridge’s economic and social impact reverberates across the state with $1.9 billion generated annually through spending and labor income and, in addition, the creation of more than 11,700 jobs, according a recently released study. The study by the economic research and consulting firm Beacon Economics LLC found that of the $1.9 billion generated by the university, approximately $1.6 billion was spent annually in Los Angeles County alone. In addition, the county also benefitted from the jobs created by CSUN. An estimated 10,369 full-time jobs were created in Los Angeles County, with an additional 1,405 created statewide. 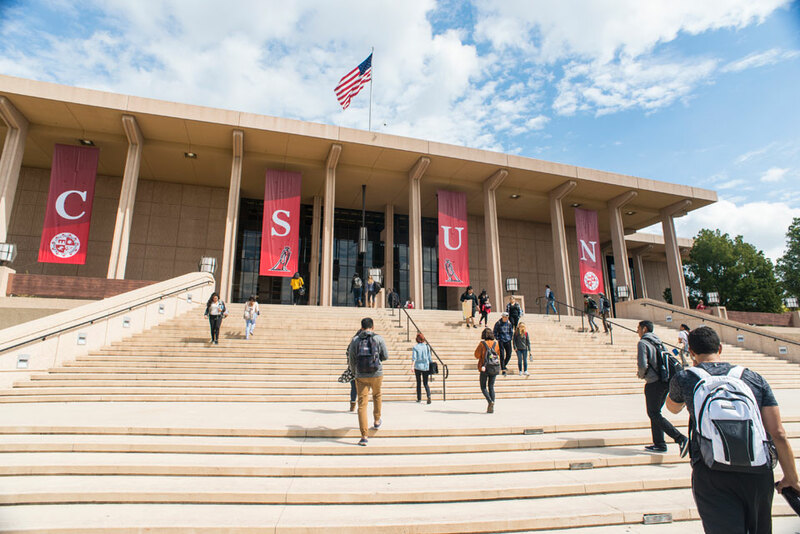 “Since its founding in 1958, CSUN has made a significant and long-term economic and social impact on the region and the state of California that you will see clearly reflected in this report,” said CSUN President Dianne F. Harrison. “With CSUN’s nearly $1.9 billion economic impact and creation of more than 11,700 jobs, the data and activities underscore our mission to serve and benefit the community and region. In addition, we have an unparalleled elevating effect on the social mobility of our students. Using actual expenditures made by CSUN during the 2013-14 academic year, Beacon Economics estimated the university’s impact on the local region, Los Angeles County and the state as a whole. This included an analysis of employment, output, value added, wages and earnings, and tax effects for each area. 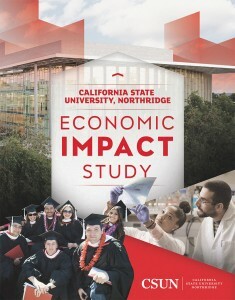 The study noted that because CSUN is located within a highly urbanized region able to support its demand, a significant majority of its economic impact occurs within the boundaries of the Northridge area. CSUN’s presence and its operations make a major contribution to state and local tax bases through both large-scale purchases of goods and services and day-to-day spending by CSUN students, faculty, staff and other affiliates, many of whom would not have made these local purchases nor paid taxes on them “but for” the existence of CSUN, according to the study’s authors. In their conclusion, the study’s authors noted that CSUN’s impact was not limited to economics. To access the full content of the report, visit the website www.csun.edu/economicimpact.